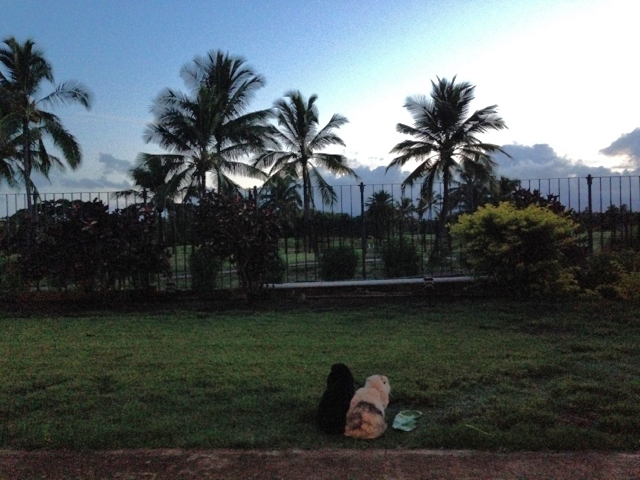 Rabbits greeting the dawn: Mopsie is on the left and Flopsie is sitting next to his daily ti leaf. He already ate his favorite part, the hard and crunchy stalk. ← Is It Too Far to Jump? Yes, Mopsie only likes to sit next to Flopsie when it is cooler. When it’s hot during the day, he wants nothing to do with his brother!